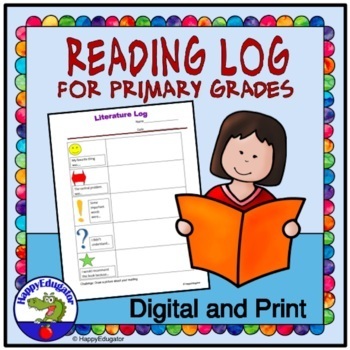 Literature Reading Log for Primary Grades. An easy graphic organizer that provides students with the opportunity to think about what they have read, either in guided reading or independently, and organize that information into a piece of writing. Critical information to record includes the central problem of the story and important words. Colorful symbols connect the information in a meaningful way to young readers. Teachers can help younger students fill out, while older students will enjoy doing independently.